What fun it is to visit a farmer’s market and discover a small but very worthwhile project being run by a high school girl in San Mateo. Abbie Schultz created Soles Without Holes, which collects gently used shoes to be donated to orphanages, homeless shelters, and disaster sites in need. Her enthusiasm, dedication, and vision are wonderful! 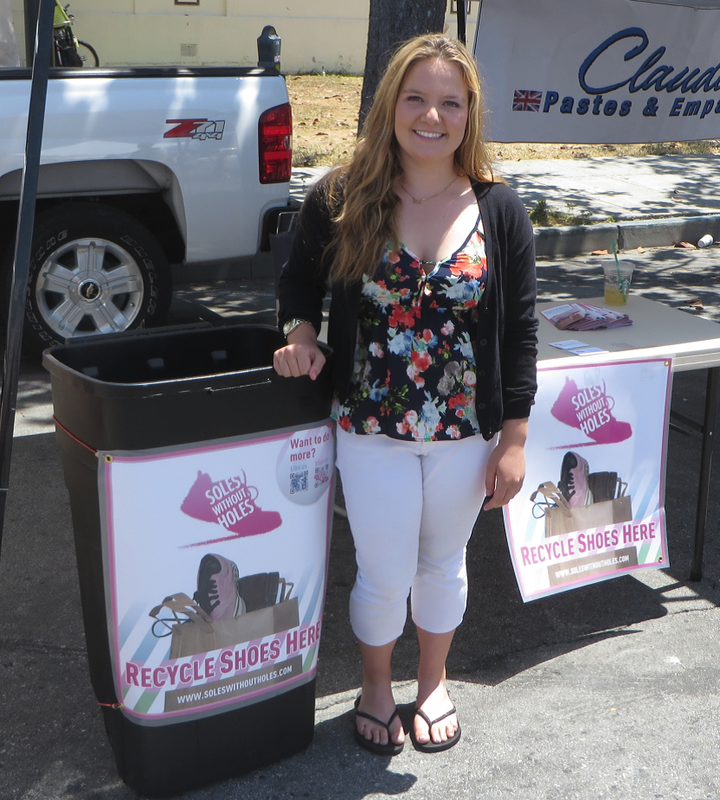 PVF is happy to support her underwrite costs for having a booth at farmer’s markets and the shipping costs to get the slightly worn shoes to places in need. Learn more on her website www.soleswithoutholes.com. You can email Abbie c/o her father at henryschultz123@gmail.com.